Split the payment over 13 weekly payments of $55.31 Shipping & returns info Free shipping! 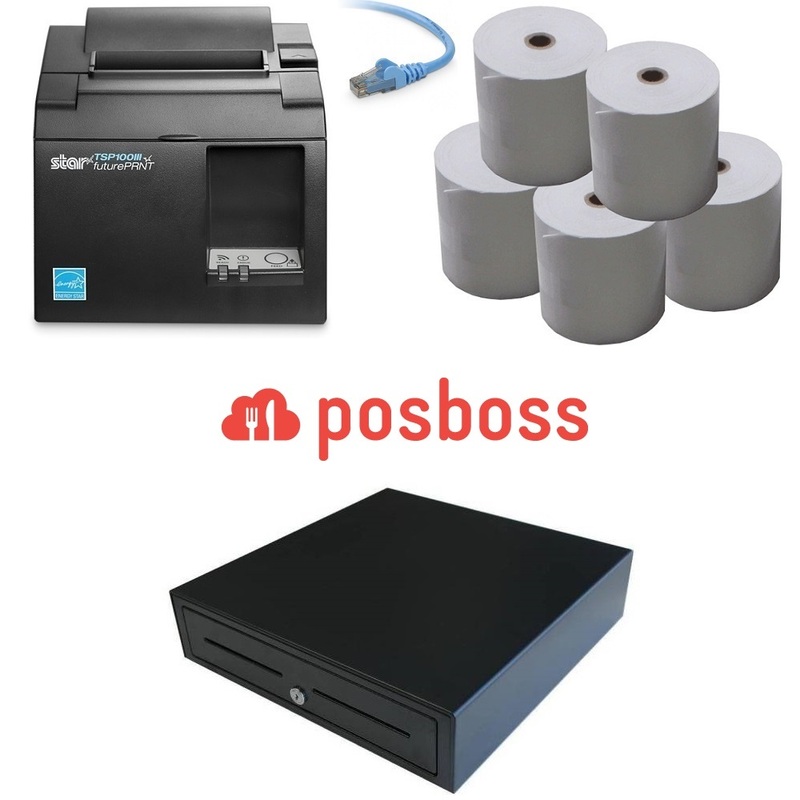 posBoss POS Hardware Bundle 2 is a high quality choice for possBoss. 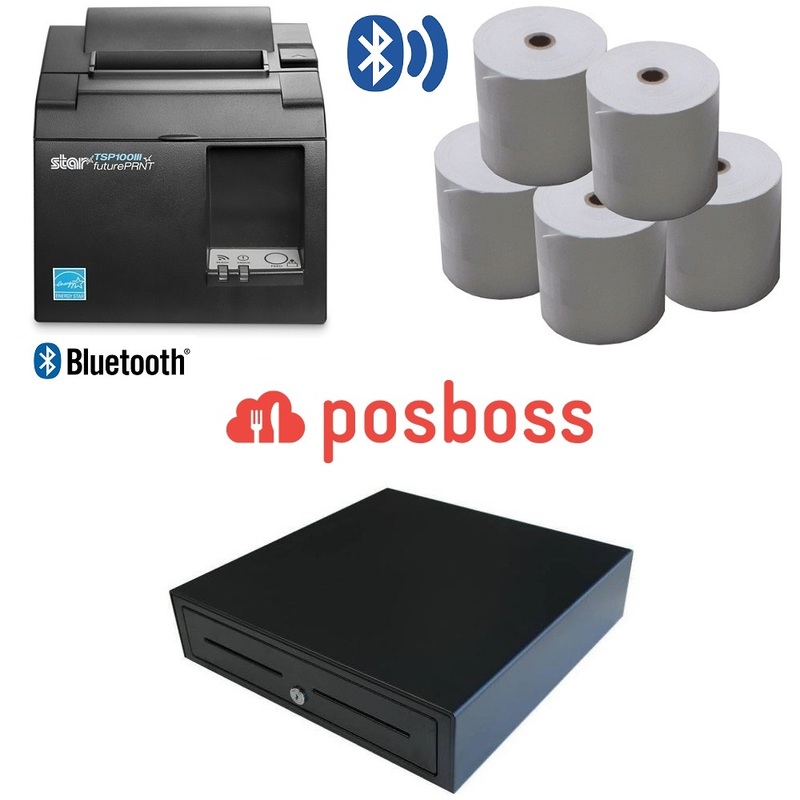 It includes the Star TSP143III Receipt Printer with Ethernet (LAN) Interface, Heavy Duty Cash Drawer and Box of 80x80 Thermal Receipt Rolls (24 Rolls). This is a high end quality POS bundle which is Compatible and supported by posBoss iPad POS Software. This Hardware bundle connects via cable to your Wireless Router / Model. You iPad will then communicate to the receipt printer across the network.